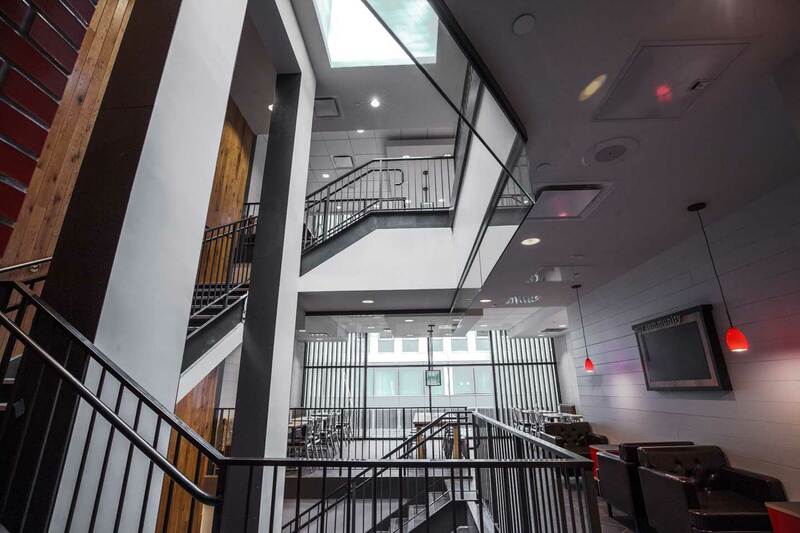 At more than 12,000 square feet, Chick-fil-A Fulton Street spans five levels – including a basement-level kitchen - with floor-to-ceiling windows allowing for natural light throughout the entire space. 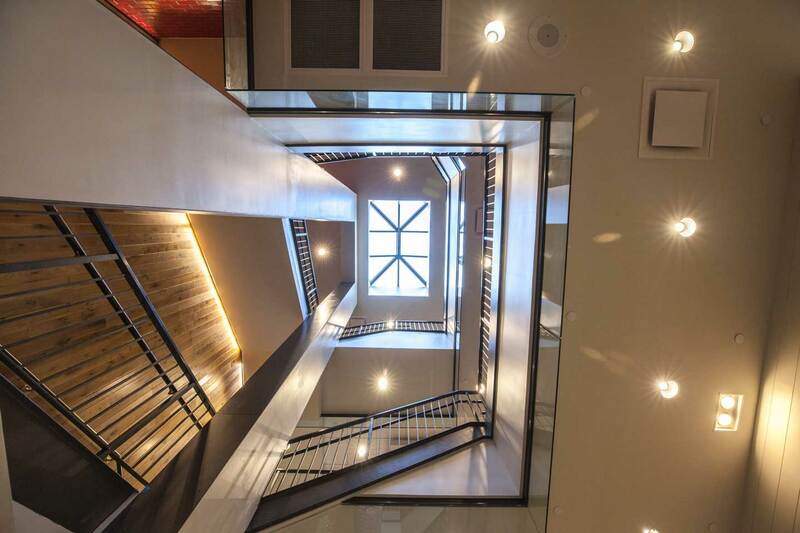 To connect each level, a staircase extends from the fourth level to the ground floor, accentuated by a skylight. Chick-fil-A Fulton Street was built to accommodate groups of all sizes, with seating on three levels for 140 guests. 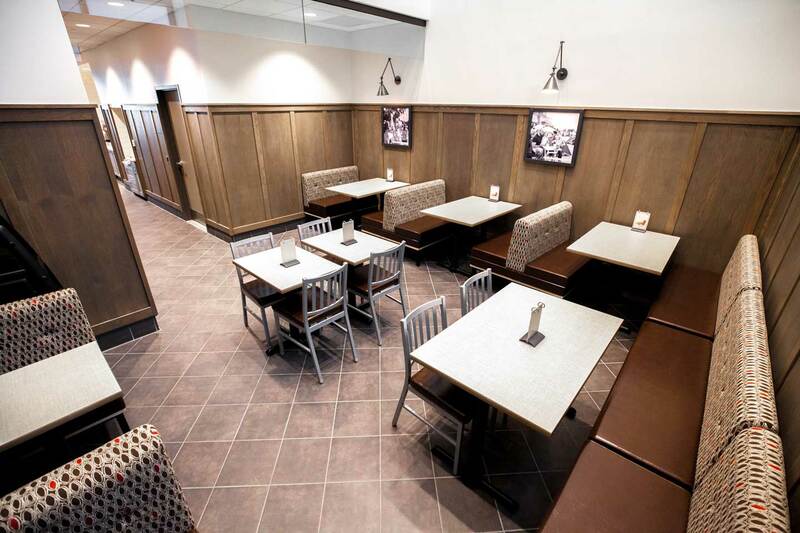 The restaurant offers mobile and in-store technology designed to serve customers quickly and efficiently. Guests can order and pay in advance (while also skipping the line) using the Chick-fil-A One™ mobile app. The restaurant is located next to Fulton Center Station (served by the 2, 3, 4, 5, A, C, J and Z trains), making it a convenient stop for guests stepping in for a quick meal, those looking for a place to sit and work, parents and caretakers dining with children, and guests hoping to enjoy a leisurely lunch outside. The restaurant features multiple family-style dining tables made of reclaimed wood, creating an inviting space to build community. Chick-fil-A restaurants are known for being involved in their communities. In New York City, Chick-fil-A partners with New York Common Pantry to provide meals to those in-need – more than 17,000 pounds of food to date. 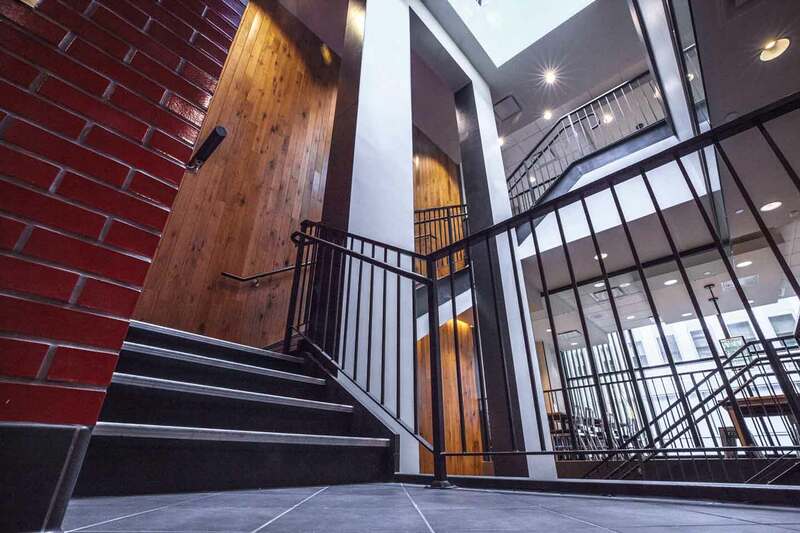 The third level features a semi-private group meeting and dining space for guests to enjoy. 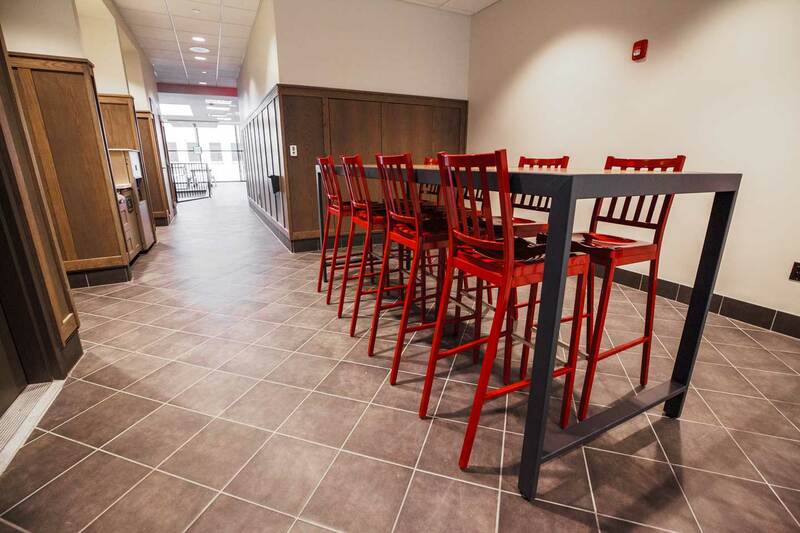 The space will also be utilized as a huddle room for the more than 150 team members at Chick-fil-A Fulton Street. 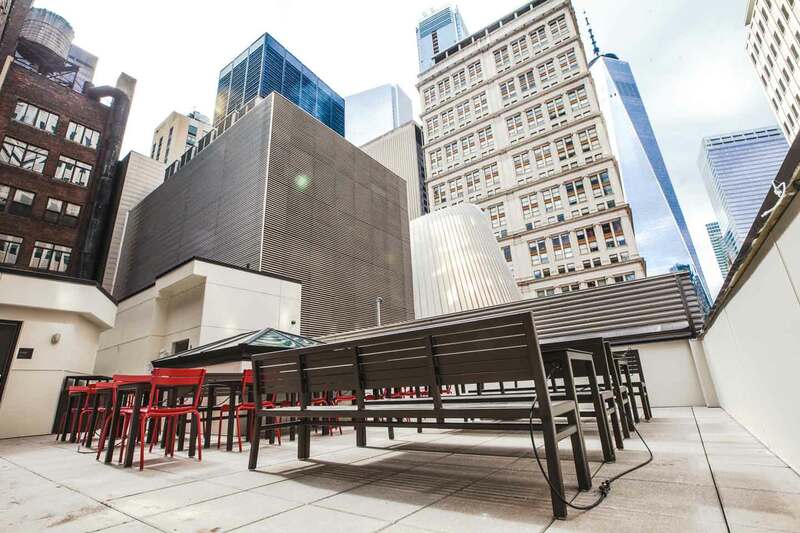 During the warm weather months, enjoy an open-air dining experience with city views on the restaurant’s rooftop terrace. 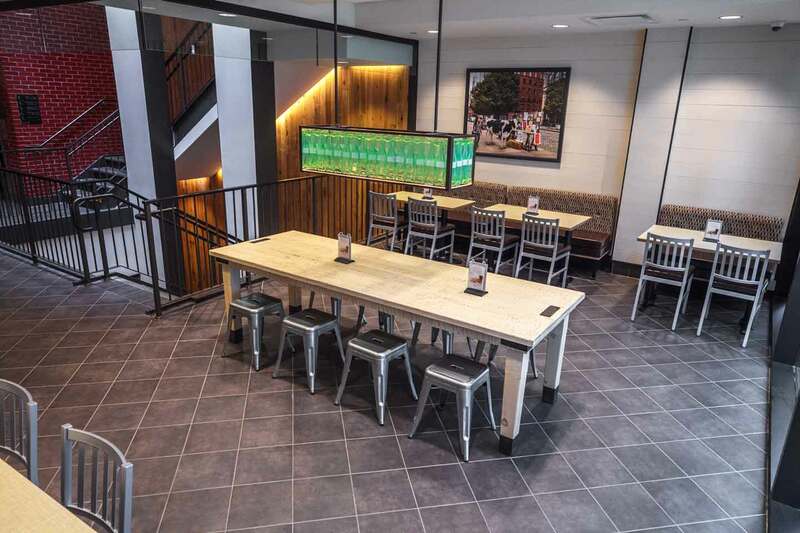 Click here for more information about Chick-fil-A Fulton Street, and check out the fly-through video below for a tour of the restaurant. 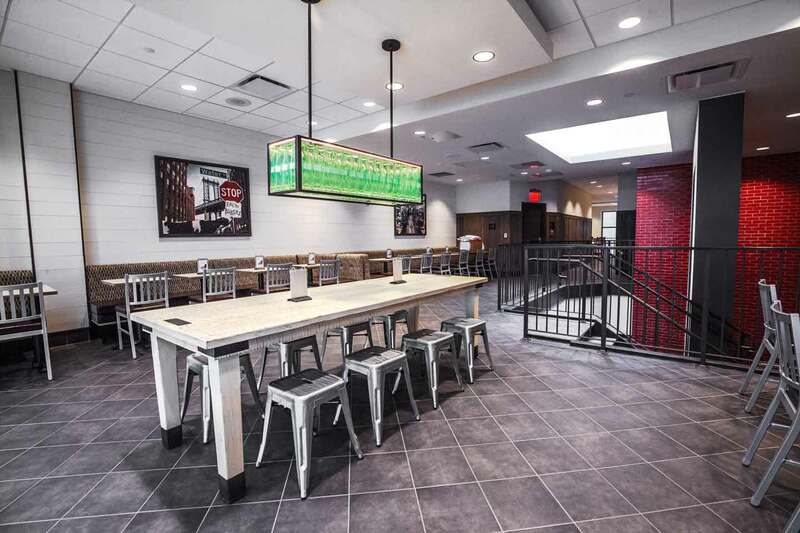 Chick-fil-A Operator Luke Cook and the team at Chick-fil-A Fulton Street are excited to serve customers in Lower Manhattan when the restaurant opens on Thursday, March 29. As part of the grand opening celebration, residents of New York City are invited to participate in the First 100 Scavenger Hunt on Wednesday, March 28.